As seems to be the case more and more frequently, we were hit with a good deal of rumors surrounding some of Marvel's upcoming projects today. After the jump, I'll walk you through todays round of Marvel Mish-Mash. Today's top rumor involves one of the things I've been most curious about concerning the addition of the Maximoff twins (Quicksilver and the Scarlet Witch) into the MCU: how would Marvel tip-toe around the inclusion of mutants into the MCU when they can't talk about mutants in the MCU? The prevailing theory has been (theorizing on this was something I've chosen to avoid) that the creative team at Marvel would somehow connect the powers of Wanda and Pietro to the Inhumans, an extremely cool part of Marvel's Cosmic stable of characters and a definite film will see somewhere down the road given Kevin Feige's love for the characters. Today, the incredibly cool guys over at Unleash the Fanboy touched base with their Marvel source over some of the news that broke yesterday. Before you click the link, beware that it will be linked to the scene descriptions of the Captain America: The Winter Soldier mid and post credits' scenes that I chose not to talk about here. It's been reported (correctly, it appears) that there are 2 scenes following the body of the film. In the short clip below, Kevin Feige reveals that while the Russos filmed one off the scenes, the other was filmed by Joss Whedon. Whedon's scene, which involves the Maximoffs, will act as a bridge to next summer's Avengers: Age of Ultron, but may ultimately be something more. According to their source, the Maximoff twins will be Inhumans!For those of you who are understandably unfamiliar with the Inhumans, they are the descendants of an early group of humans who were experimented upon by Kree scientists in the early days of the Kree-Skrull War. Over time they became increasingly isolated from the rest of humanity and, as they begun to discover the true nature of their powers through exposure to the mutagenic Terrigen Mists, derived from Terrigen Crystals which were discovered by an Inhuman scientist over 25,000 years ago, they realized their isolation was necessary for the survival of ALL parties involved. "The word here is Quicksilver and Scarlett Witch are Inhumans." said Unleash the Fanboy's source. "I don’t know if they’re the goofy Moon Base guys or a trendier take on the characters" said the source, in reference to the core group of Inhumans who have spent time on the moon. When pressed about the progress on an Inhumans solo film, the source repiled, "And as far as their own movie, I know about as much as everyone else about the Inhuman movie. I know they [Marvel] want it, but I don’t know how far along it is. Sorry!" Finally, when asked about how this news reconciles with the revelation about the Captain America: The Winter Soldier scenes, the source replied, "I haven’t seen the movie yet, but I’ve heard of the term. Make no mistake, the origins of Scarlet Witch and Quicksilver is an adaptation of Inhumanity." Using a tiny bit of logic, one would make the deduction that if it indeed turns out that Marvel will attribute the powers of Quicksilver and Scarlet Witch to being Inhumans, an Inhuman film might not be far off. Marvel does have a script with which they are in love and one that has been modeled after Game of Thrones. While some of you may not be familiar with Unleash the Fanboy, they have a solid track record with Marvel rumors so, for the time being, there's no reason to doubt their source. 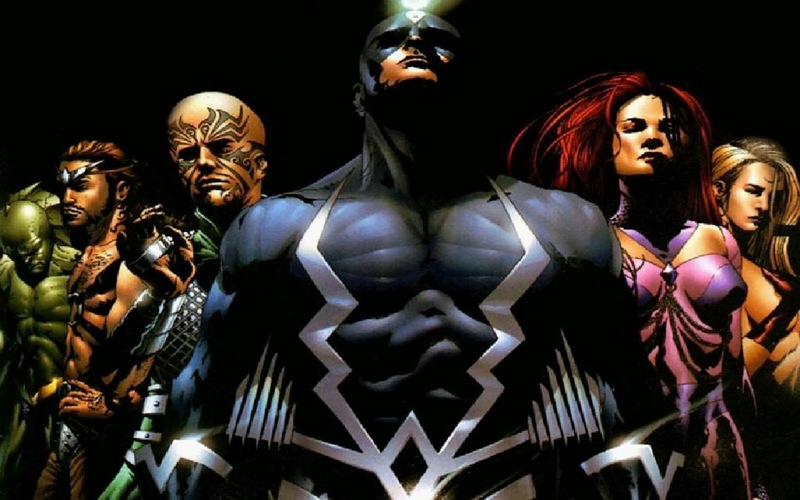 The inclusion of the Inhumans in the MCU was a foregone conclusion and, if this rumor pans out, this only speeds along the expansion of the Cosmic corner of the MCU. The Inhumans have deep ties with the Kree and are always involved with the major events of the Marvel universe including this past year's Infinity which ended with the release of mass exposure to the Earth to the Terrigen Mists, an event that caused the transformation of an as yet unknown number of human with Inhuman ancestry. The two of you who read this site and know me know my affinity for the Inhumans and can probably figure out just how happy I am that Marvel is coming closer to bringing them to the screen. While the powers of Scarlet Witch and Quicksilver aren't quite in line with the rest of the Inhumans, or the attractive twins are certainly not representative of some of the permanent disfigurations the Inhumans suffer, I'm sure there's more to the story that we don't know at this point. Regardless, it shows Marvel's commitment to Cosmic character expansion and that thrills me as over 2/3 of my library consists of Cosmic books. It wasn't too long ago that we first heard about Marvel taking meetings to assemble a creative team for the upcoming Doctor Strange film, and today, via Borys Kit, writer for The Hollywood Reporter's Heat Vision, we got an update and it involves a new name being added to the mix. DOCTOR STRANGE update: Scott Derrickson (Sinister, Exorcism of Emily Rose) also in the mix to direct the movie. Being told Mark Andrews (Brave), Jonathan Levine (Warm Bodies) still on the shortlist. This is certainly an interesting group: animation, horror and whatever genre it is in which you'd place Warm Bodies. Marvel's continued pursuit of this and their track record with locking up creative teams leads me to believe they are trying to slot Doctor Strange for a 2016 release. At this point we have no ability to predict which way this land, though Marvel is clearly happy to explore all options, especially after the apparent success they've had with the co-directors of Captain America: The Winter Soldier, Joe and Anthony Russo. As I mentioned earlier today, the Russo brothers turn behind the camera seems to have produced a universally praised film. 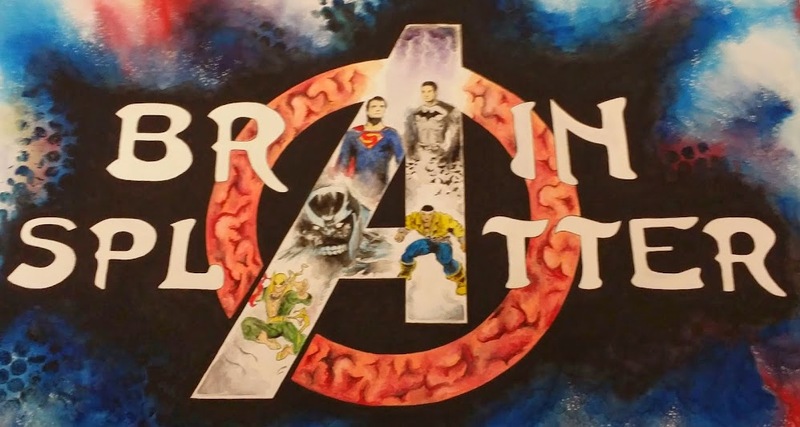 It's been rumored for some time that Marvel was thrilled with the work they did on the film and was eager to bring them back for the third solo Cap film. Today, Collider posted an interview in which the Russos confirmed that they are on board. The co-directors mention in the film that they are working on the story now. As of now, I'd say it's a safe bet that we see the next installment of Captain America paired up with Doctor Strange in 2016 and, with Chris Evans nearing the end of his contract and considering taking a break, I think it's safe to say the Russos may be playing with the death of Steve Rogers while they are early on in the process. However, as you can see below, Evans confirms he is fully committed to his 6-picture deal and that his Thor: The Dark World cameo did not count against the contract. Marvel news will be coming in in droves over the next few weeks with promos for Captain America: The Winter Soldier in full swing and filming for Avengers: Age of Ultron slowly getting underway. I'll be here to relay it to you!